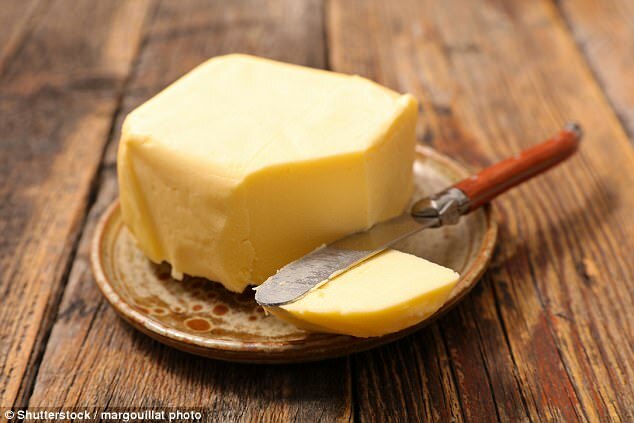 UK Hit Buy Massive Increases in Prices of Block Butter….. Butter prices have soared by as much as 53 per cent due to dairy shortages and increased demand from shoppers. Recent studies concluding that butter is not a ‘bad’ food after all have seen families forgo margarine and low-fat alternatives. The success of shows such as The Great British Bake Off has also seen shoppers rekindle their love for butter as they try their hand at home baking. But it comes after a collapse in dairy prices last year saw many small dairy farmers in the UK and elsewhere sell up or switch to other types of food production – meaning there is not enough milk, cream and butter to meet customers’ demands. The wholesale price of butter is up by 88 per cent in a year, according to analysts Mintec, and this has fed through to supermarket shelves. Manufacturers of butter-heavy foods such as shortbread, croissants and pastries are also being forced to raise prices. It has seen some cake and processed food firms looking into switching to cheaper alternatives.